Julio Vidal Amodeo, Attorney at Law. Fernando Aguirre Ramírez, Attorney at Law. Leandro Vidal Bértola, Attorney at Law. Virginia Crosa Ormaechea, Attorney at Law . Giovana Díaz, Attorney at Law. Andrea Custodio, Attorney at Law - Notary Public. Graciela Spoturno Orizia, Sworn Translator. Administrative Staff: María Inés Larre and Nancy Ayala. Consultant on International Private Law:Cecilia Fresnedo de Aguirre, Attorney at Law. Our law firm works together with domestic and international surveyors and average adjusters. The firm provides legal services in all Latin American countries, having its own representatives, and also in other countries with recommended law firms. Doctor in Law and Social Sciences, graduated from the Universidad de la República Oriental del Uruguay in 1971. Member of the Uruguayan Bar Association since 1971. 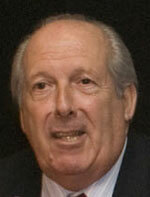 Founder, member and former President of the Uruguayan Association of Maritime Law [AUDM]. Former President of the Iberoamerican Institute of Maritime Law [2008-2010]. Former Director of the Maritime Arbitration Permanent Center [CEAMAR]. Member and former Vice-president of A.I.D.A. – Uruguayan Division [Association Internationale de Droit des Assurances]. Former and currently Co-director of the magazine TRANSPORTE y SEGUROS. Advisor for the Transportation Commission of AUDEA [Uruguayan Association of Insurance Companies]. Expert on Multimodal, Maritime, Air and Land Transportation and Insurance. Free professional exercise in the above mentioned areas. He has acted as international arbitrator in commercial areas. He has attended several seminars, congresses and conferences on insurance and transportation as speaker, jury member and participant. He is also the author of various articles on those subjects. He has held various public offices: Chief of the Ministry of Foreign Affairs Secretariat, member of the Social Security Bank Lawyers Board, President of the Caja de Profesionales Universitarios [Professionals Retirement Institution], and President of the Comisión Honoraria Administradora del Fondo de Solidaridad [University scholarships]. Born in Montevideo [Uruguay] on September 19th, 1944. Attorney , Doctor of Law and Social Sciences , University of the Republic [Uruguay]. Specialist in Insurance and Transportation Law. Practitioner in these areas of Law. Member of the Uruguayan Bar Association. Founder, former president [1999-2000] and vice-president [2010-2012] of the Uruguayan Association of Maritime Law [AUDM]. Vice-president for Uruguay of the Iberoamerican Institute of Maritime Law [IIDM) [2010-2011]. Founder and co-director of the Revista de Transporte y Seguros. Legal advisor of the Uruguayan Association of Insurance Corporations [AUDEA]. Member for Uruguay of the List of Arbitrators for Mercosur, Article 11.1 of the Olivos Protocole [Decree of the Uruguayan Executive Power dated 12-04-2004]. 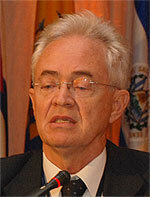 Former Minister of the Government Accounting Office [1991-1996]. Lawyer in several positions at the Public Administration since 1972 to 1991. Director of the Legislation and Jurisprudence Department of the Government Accounting Office [1987-1991]. Member of the Uruguayan delegation to the INCOSAI Assembly, Washington, October 1993. Member of the Uruguayan delegation to the OLACEFS Assembly, Montevideo, December 1994. Member of the Uruguayan delegation to the CIDIP VI [Inter American Specialized Conference on Private International Law], OEA, Washington, February 2002. Professor of Transportation Law at the School of Law of the Uruguayan Catholic University [2001-2007] and visiting professor at the Montevideo University. Lecturer and participant in several seminars, congresses and other academic events on insurance and transportation law. Author of several books and articles on insurance and transportation law matters.